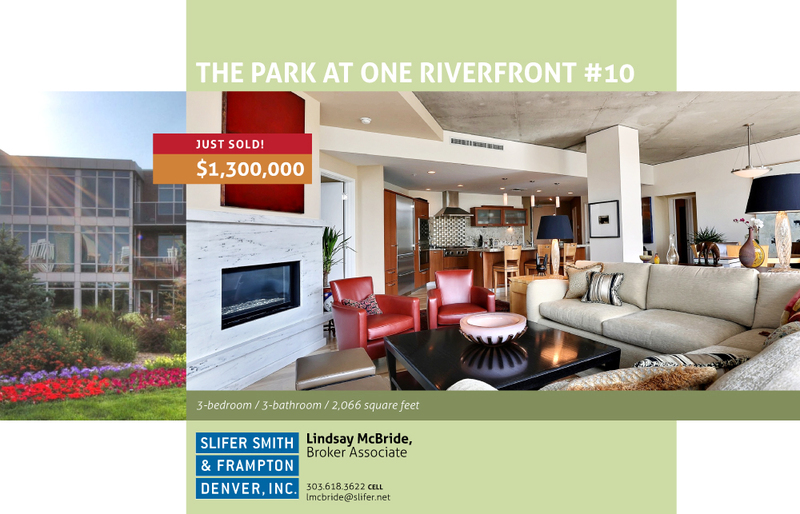 ONE Riverfront #108 just sold for $435,000. 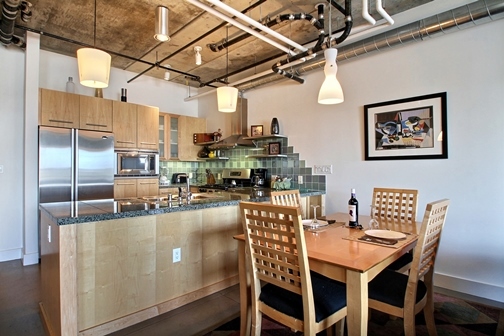 Unique one-bedroom townhome in Riverfront Park. 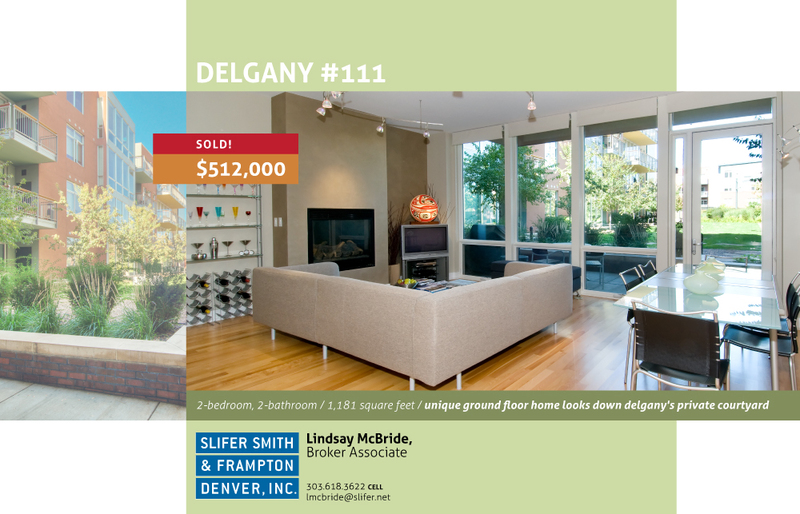 With two stories, the kitchen and living area occupy the first level and a full master suite encompasses the second. 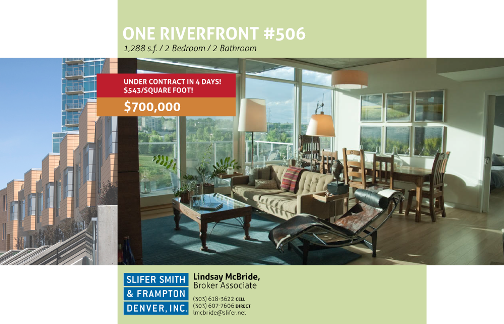 Quality craftsmanship and attention to detail make ONE Riverfront a distinctive downtown residence. Brazilian cherry hardwood floors throughout, Caesar stone counter, custom European style cabinetry, Jenn-Air appliances, Hans Grohe fixtures and a deep soaking tub are some of the sophisticated finishes in this home. 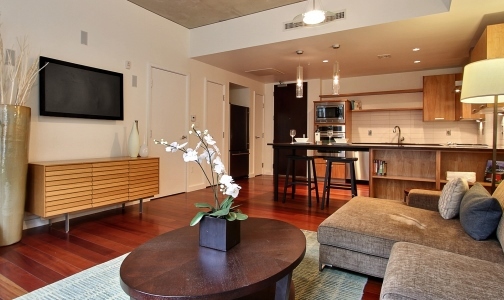 Efficient and comfortable, this home’s is best described by one word, livable! 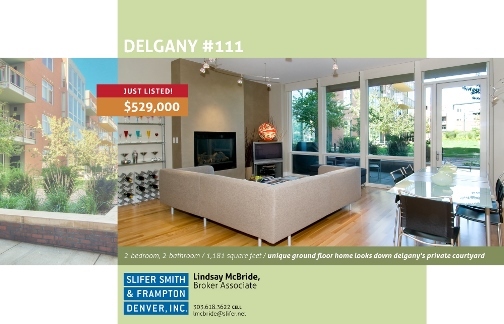 According to a Denver Post article yesterday, Denver had the highest share of homes selling in less than 7 days in April than any other major US city. A quarter of homes sold with in 7 days and the average was 32 days. The market is hot and it’s time to make a move. To read the whole article, click here.